It will help admin can track the number of registrations, threads, and the status of threads. 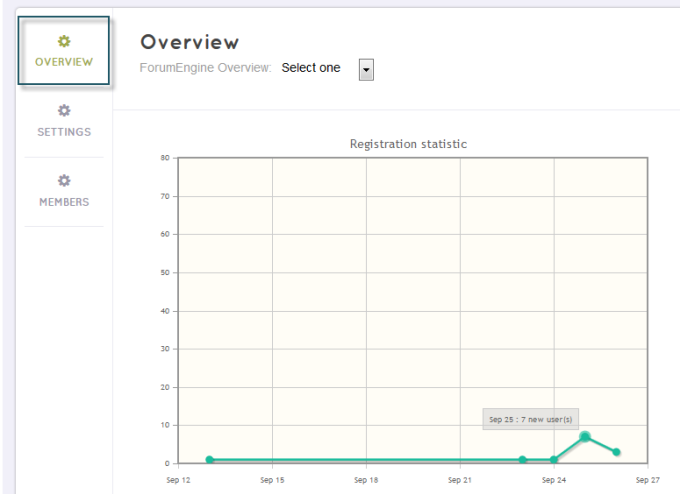 The statistic shows the new members that were registered in your ForumEngine. It will show the number of registrations and the date happens them. It helps admin can track the number of threads that have got in each status. ForumEngine supports 4 statuses: published, trash, pending, and closed. 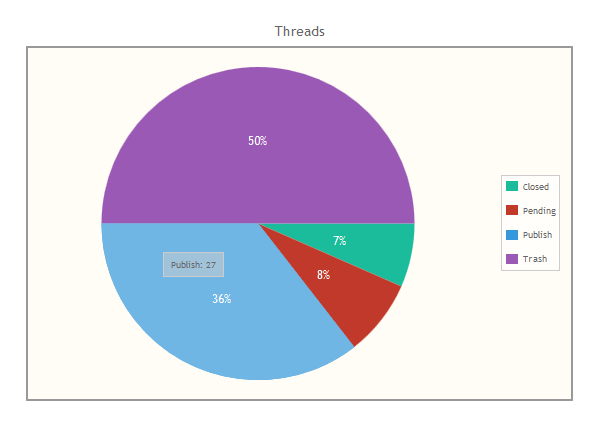 You can view the percent of those statuses in the total threads as well. It includes 2 statistics: one for threads and one for replies. It will calculate the number of threads and replies each day. Admin can control the content very convenient.